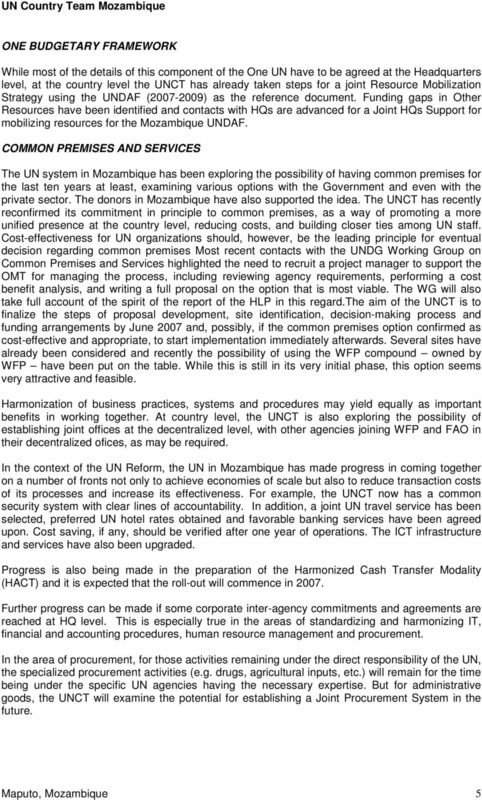 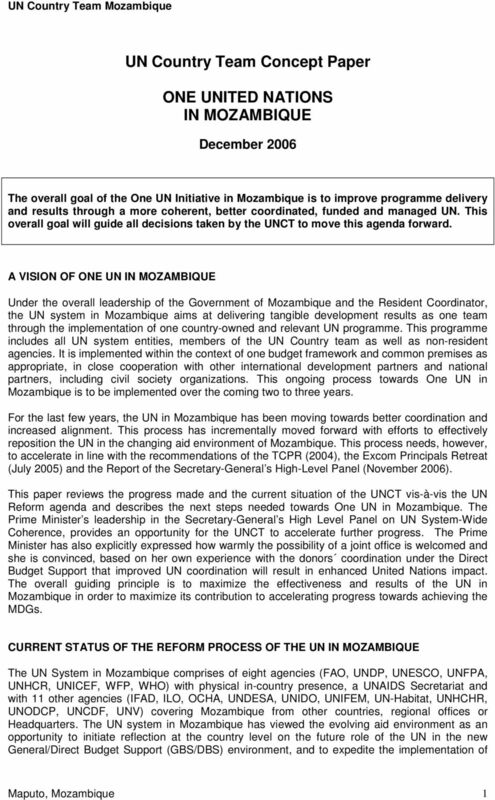 Download "UN Country Team Concept Paper ONE UNITED NATIONS IN MOZAMBIQUE"
UN Tanzania Business Operations Strategy FOREWORD First of all, on behalf of the UN Country Team, let me thank the UN Development Group for selecting Tanzania to pilot the Business Operations Strategy. 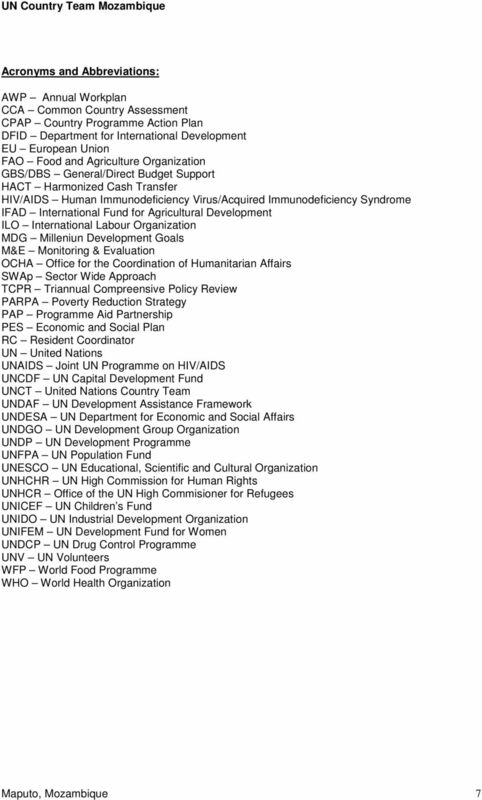 United Nations. 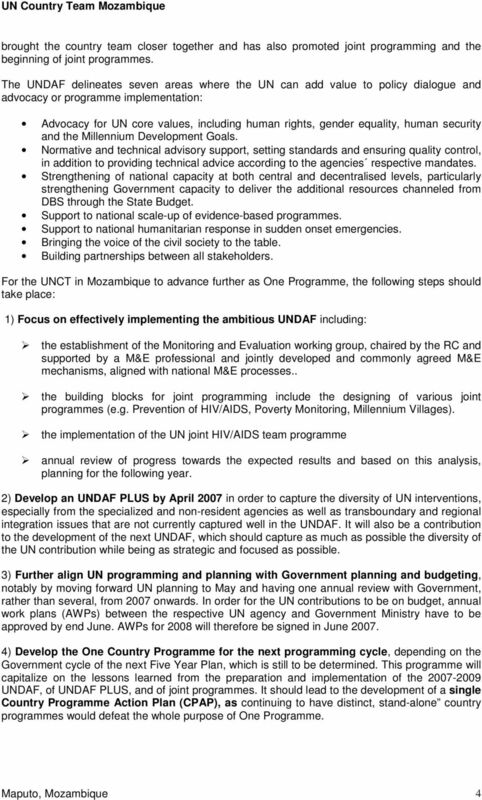 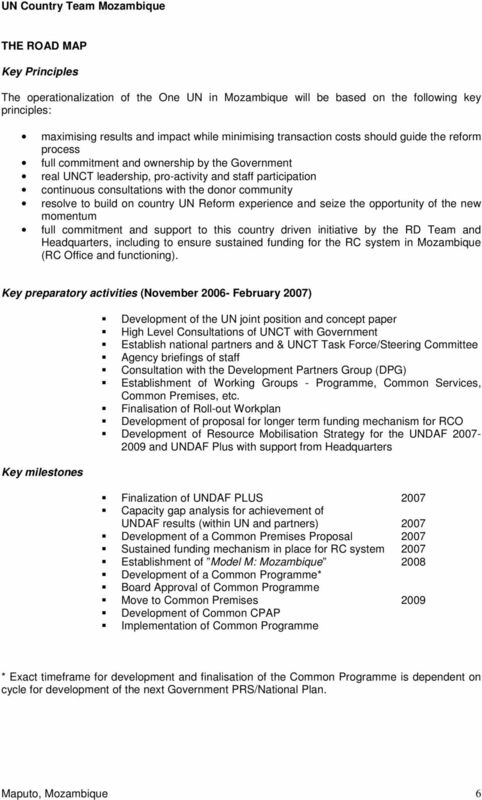 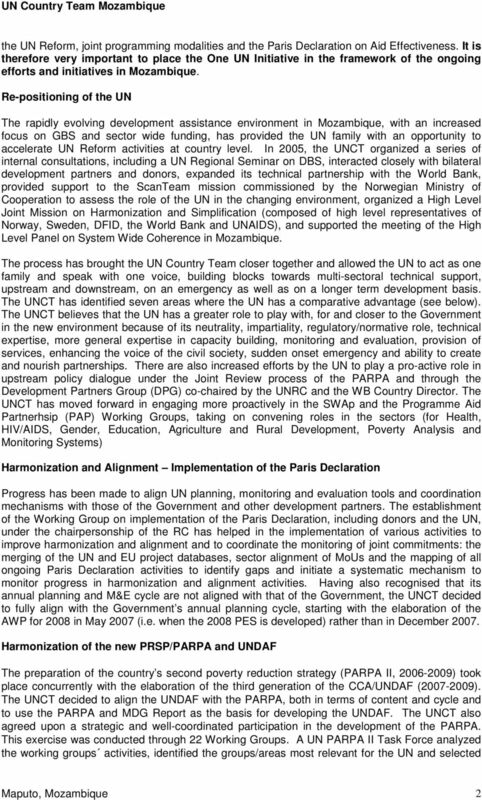 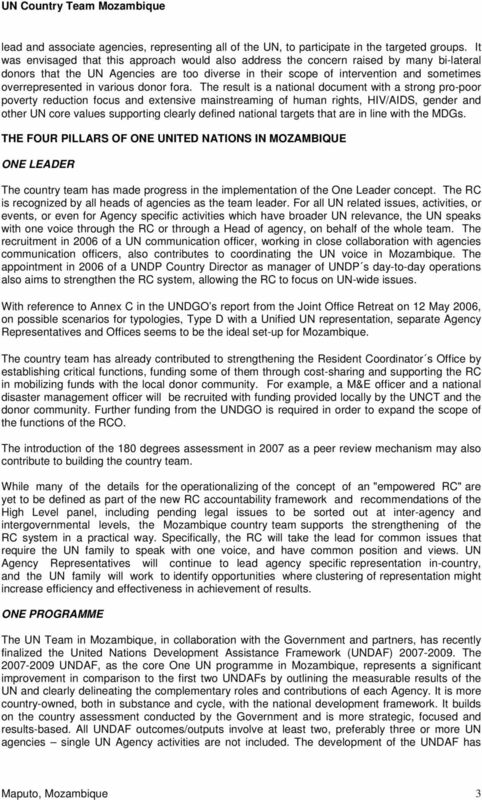 Integrated Missions Planning Process (IMPP) Guidelines Endorsed by the Secretary-General on 13 June 2006.